Soft genuine lambskin in a versatile blush color is hand-embroidered and beaded with worn gold plate white enameled brass beads and crystals. 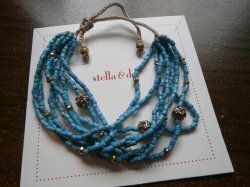 SM: 12 7/8" adjustable to 13 7/8"
Callie woven turquoise hued beads intermingle with handset pave balls on an adjustable pulley cord. Adjustable to fit most wrist. Former display item in excellent condition. 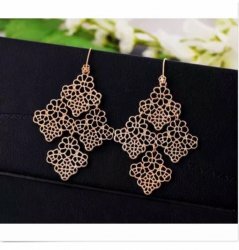 Goldtone earrings. New without packaging. Cut crystal accents, in a matte silver background. �17" length with a 4" extender. 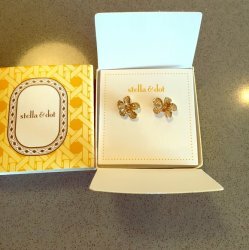 Goldtone post earrings, they are 1/4 inches long. In new condition. 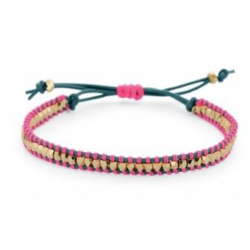 Adjustable bracelet, has gold and pink/turquoise accents. In new condition. 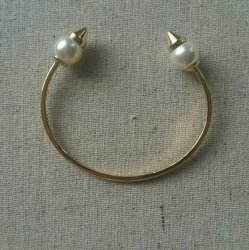 Goldtone cuff bracelet with pearl accents. In new condition. 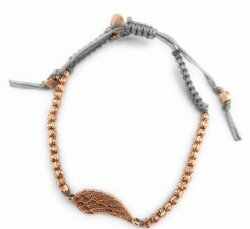 Rose gold Beaded bracelet with angel wing and gold cord. Never worn. 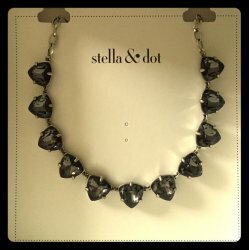 This was a limited edition breast cancer awareness piece released by Stella & Dot. 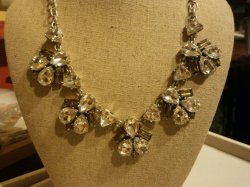 Necklace 19 inches long, includes extender, has smoky gray accents. In excellent like new condition. Antique rose gold plating alongside a hand-set champagne cup chain. Adjustable brown velvet ribbon tie. Approximately 18 1/4" of stones, 18" of velvet ribbon on each side. Lead & nickel safe. 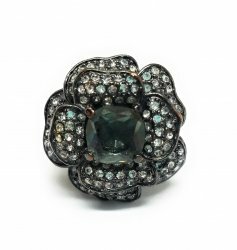 Hematite with cut crystal accents, in like new condition. 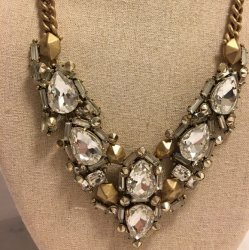 Vintage piece from Stella & Dot. Missing crystals, barely noticeable as you can see on the picture. In great condition otherwise. It is 20-22 inches long. 16-18 inches long. 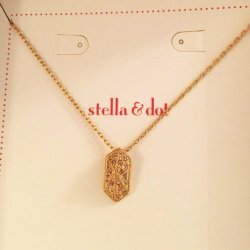 Goldtone with cut crystal accents. In new condition. 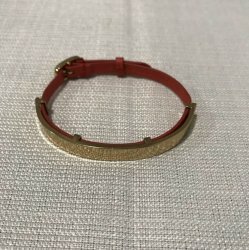 Adjustable bracelet, has pearl accents. In new condition.